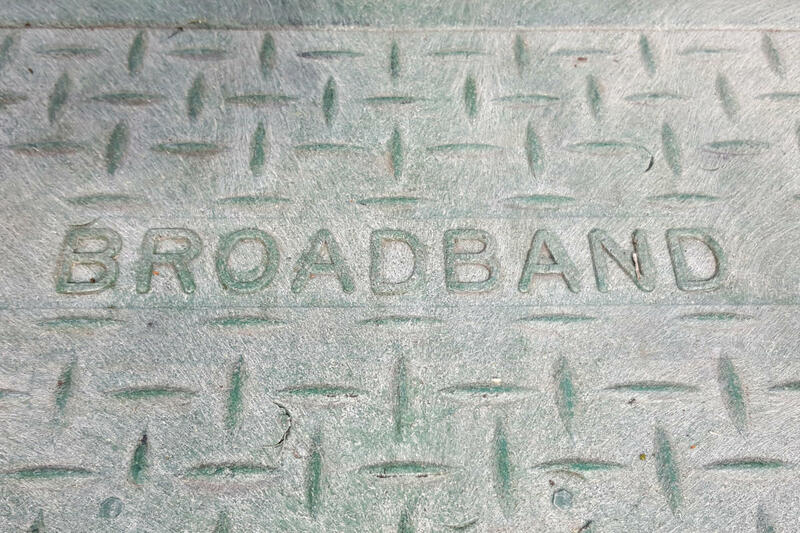 Our consumer blogger finally cuts the cord and installs ultra-fast broadband. Here’s what he learned. I’m finally getting to practice what I’ve been preaching: I cut the cord on pay TV this month and signed up for ultra-fast, fiber-based broadband. Having much faster access to the Internet isn’t a benefit I need to explain, of course, and who doesn’t want to tell their cable provider to buzz off. But the two big changes to my digital life have taught me a few lessons that weren’t nearly so obvious. I’ve learned that I can take advantage of faster speeds to work more securely and getting rid of always-on cable has freed up a lot of time. Ditching pay TV, though, isn’t saving me all that much money, and I’ve learned that not every device in your home is capable of handling speeds approaching what has become the holy grail of broadband: downloads of 1Gbps. Let’s start with upload speeds. Unless you’re in the habit of moving big photo or other media files, chances are you hardly notice how fast your data moves in the opposite direction. So what does a faster upload speed have to do with security? The benefit is indirect, but it’s tangible. Many consumers are savvy enough to back up to an external drive, but hesitate to use the cloud because moving massive collections of photos, music and what not is really slow. The last time I backed up my photo collection to Google drive it took all night – and then some. But the WannaCry attack got me really worried about being hit with ransomware, so I used my new broadband connection to back up thousands of files generated by my work -- and it took less than an hour. If my PC and attached external drive are crippled by malware, I can now access those files with another device. Although my service is billed as “gigabit fiber” I’m not getting that speed. Mind you, I’m not complaining. With downloads north of 300 Mbps and uploads of better than 100 Mpbs I have all the speed I need. Still, what the deal here? As a general rule, the fine print in every ISP’s contract or advertised offer has the phrase “up to.” That’s a bit of a weasel wording that means the connection you’re paying for is capable of delivering that speed – but there’s no guarantee that you’ll get it. And generally you won’t. In my case, I’m connecting to my ISP's router by WiFi. Ethernet connections are significantly faster, but my PC, like most these days, doesn’t have an Ethernet port. I could buy a USB-to-Ethernet dongle and speed up everything. If someone else in the house were sharing the connection and using a lot of bandwidth I’d probably do that, but for now, there’s no reason to bother. There’s another issue as well and it affects non-PC devices like smartphones and eReaders like Amazon’s Kindle. They simply can’t handle speeds approaching 1 Gbps, so they deliver a slower connection. Indeed, high-speed routers offer two bands – one much faster than the other, and devices that can’t handle the highest speed automatically default to the slower band. Again, not a big deal, but good to know. Cable and satellite TV bills are higher than we’d like and they keeping getting higher, but cutting the cord doesn’t necessarily save money. It’s easy to lose track of how many streaming services you subscribe to. Most are relatively cheap, but sign up for four or five and before you know it your TV habit is just as expensive as when you were a Comcast customer. On the plus side, you’re only paying for content you want and you don’t need to sign a contract. You simply pay by the month and quit when you feel like it. In my case, I’m paying extra for Sling TV because it carries live home and away games of my San Francisco Giants. But when the season ends, I’ll probably drop the service. When you pay a fairly large cable bill, you’ll notice it right way. But since most streaming services make you sign up for autopay, you might not notice the flurry of $10 or $15 charges every month. I’m not one of those folks who thinks watching TV means you’re socially inferior. But over the last year, largely because of my interest in politics, I found myself spending way too much time in my favorite chair watching the talking heads. Sure, I could always turn them off. But the insidious thing about cable is that you’ve got a programming grid on your screen and it takes no effort at all to channel surf. When you have multiple streaming subscriptions, though, it takes more effort to find stuff to watch. That’s a bit like stashing the cookie plate in a high cupboard. You could always climb up and get it, but since it’s out of sight you won’t – at least not quite so often.